We have a one mile run and a 5K run on a USATF certified course. It will be at 9 AM July 3. 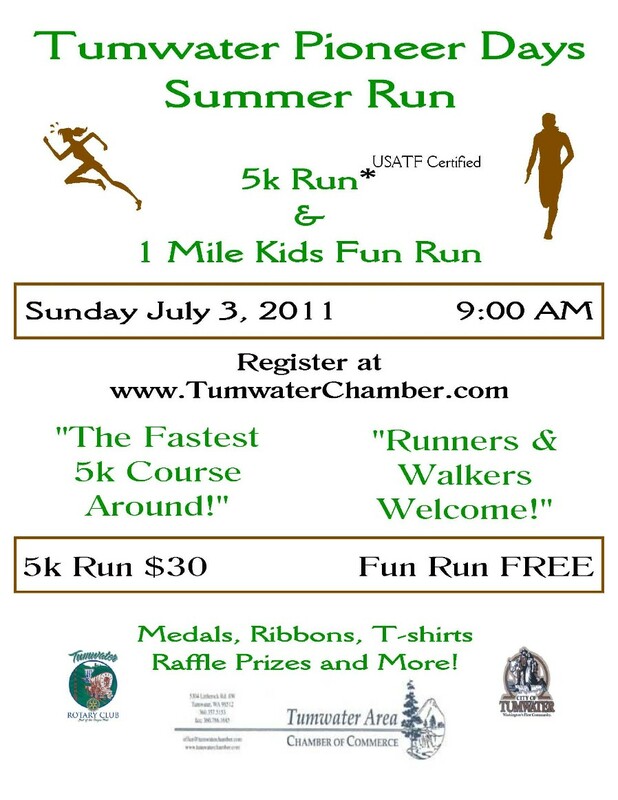 The registration tables that morning will be at the Tumwater Airport Golf Center and Batting Cages on Center Street. This is pretty close to the start line. We will start the one mile run first and the 5K will start immediately afterward. Register by taking application to South Sound Running, or by taking it to or mailing it to the Chamber office at 5304 Littlerock Road SW. Race registration must be received by mail the day before the race. There will also be day of race registration from 7:30- 8:30 AM. The Races start at 9 AM July 3 (Sunday).